And here is a new skin for the photoblog. I get some comments that the previous skin was not so nice and need a new look. So I worked on the template for a while. I kept the green atmosphere of the previous skin but I used a more warmful hue. I also update the page setting and add a bit of "web 2.0 touch". What is that do you think, link Here is where I get some hints. Does it looks web 2.0 now ? leave a message to say it. About today's pic. I shoot the photo outside the Smithosian Institute on the mall in Washington last August. 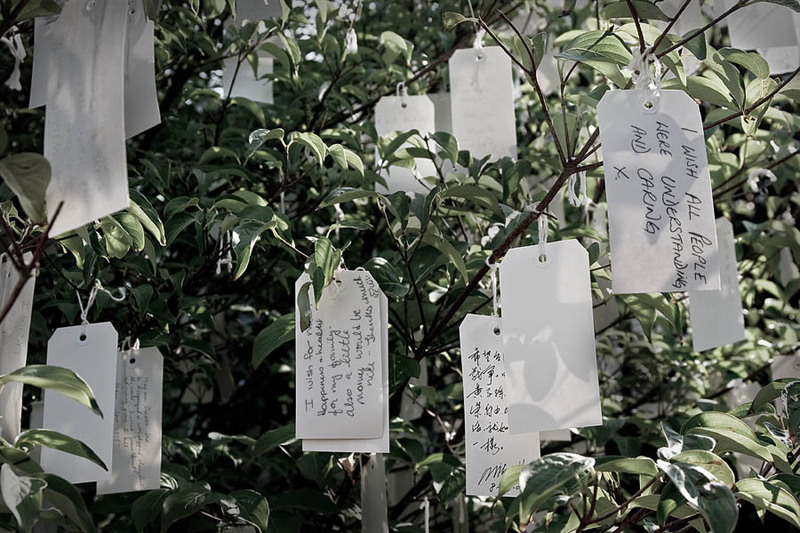 It was a nice outdoor sculpture exhibition there and in middle of it was this nice tree with hundreds of wishes messages written by visitors from all over the world.